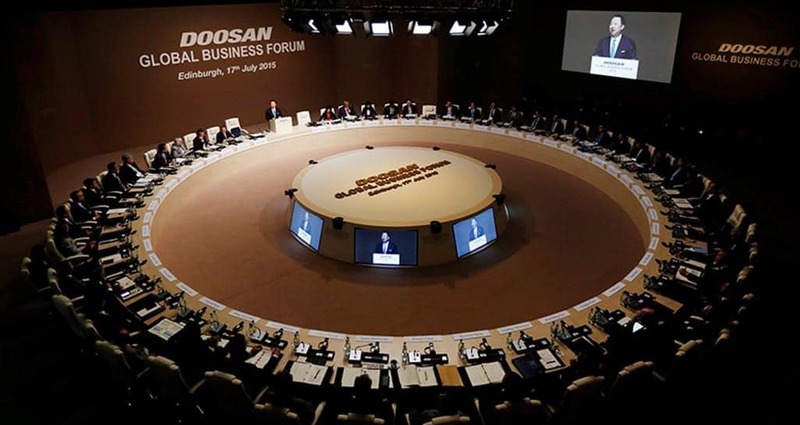 Doosan (Chairman Yongmaan Park) held the Doosan Global Business Forum 2015 in Edinburgh, Scotland, on July 17 (local time). Among the attendees were Gordon Brown, former British Prime Minister; Gene Sperling, former Director of the U.S. National Economic Council (NEC); Justin Yifu Lin, former Senior Vice President of the World Bank; Shri Rajiv Mehrishi, Secretary of the Ministry of Finance, India; and Amitabh Kant, Secretary of the Ministry of Commerce and Industry, India. Not far from the forum venue, the Open Championship was held on the Old Course at St. Andrews from July 16 to 19. 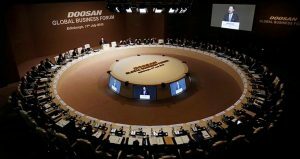 Doosan is an official patron of the event.